The push for wild Tasmanian deer to be hunted for the commercial food and restaurant trade is gaining momentum. Mr Kelly has faced obstables. “We tried last year to get 1,000 animals processed in Tasmania and we just couldn’t find anywhere to do it,” he said. “We have enormous demand for venison yet in Tasmania thousands and thousands of deer are being shot and left in the bush to rot,” he said. Primary Industries Minister Sarah Courtney said once established, the game council which is to be established shortly would give advice on the management of deer and other game animals. She said the Council would consider the possibility of hunting deer for food in Tasmania. 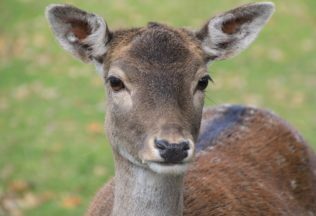 “That is something that obviously came out of the deer inquiry, and it’s something the Council will be tasked to do — to look at the feasibility of whether or not that can actually be progressed,” she said.